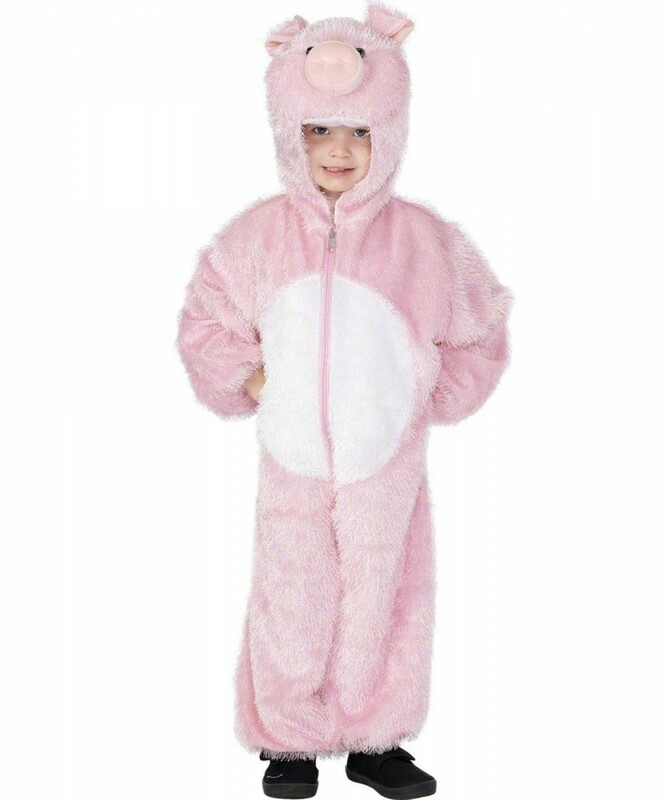 Furry animal pink pig body suit with hood. The suit zips at the front and has great detailing as pictured. The fur is made up of a soft string effect across the suit to create the fun animal look. The hood has a cute snout and curly ears. OINK!